Home Articles Indian IPO Blog on Whatsapp Congratulations! We've crossed 5000 members on Indian IPO Blog Whatsapp Groups! Congratulations! 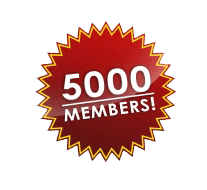 We've crossed 5000 members on Indian IPO Blog Whatsapp Groups! We're more than 5000 on Indian IPO Blog Whatsapp Groups now! We are confident that your support and blessings would enable the community to build and enhance catapult the fraternity with an embedded competence in order to enable scaling of newer heights for the group!